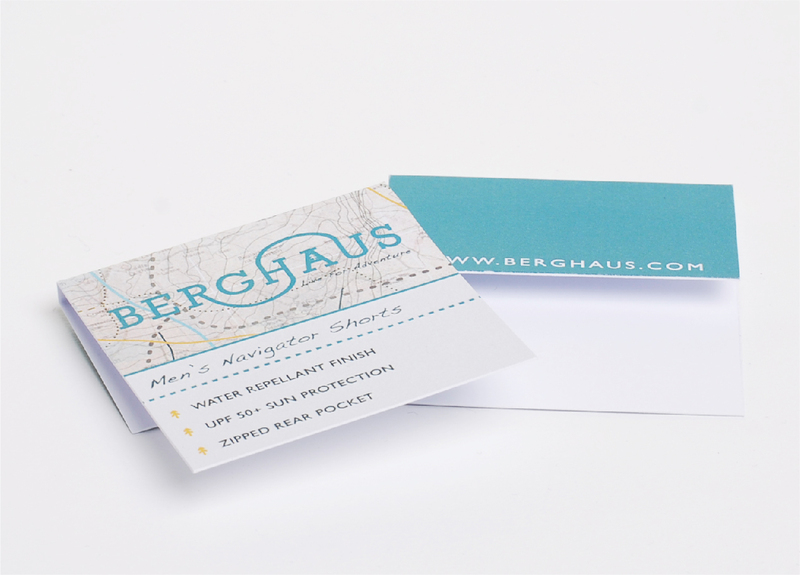 Redesign the Berghaus brand identity so that it embodies the live for adventure tagline. 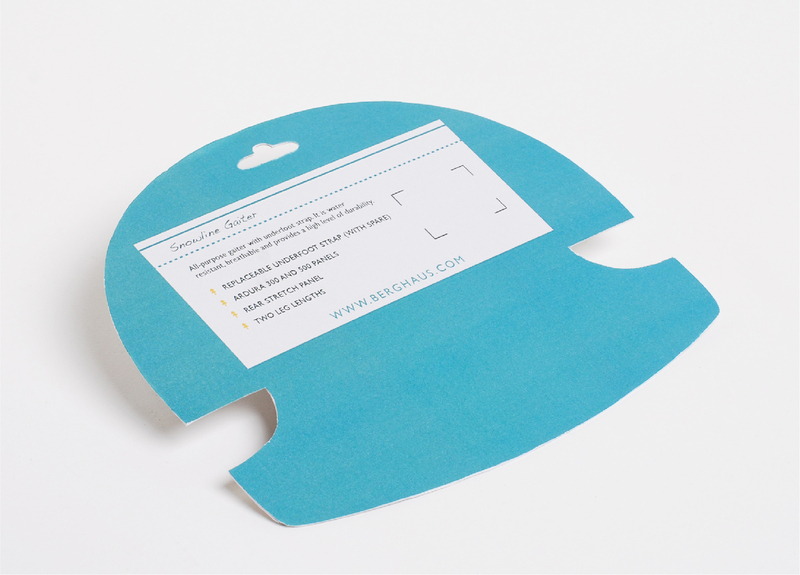 Final year self-set brief. 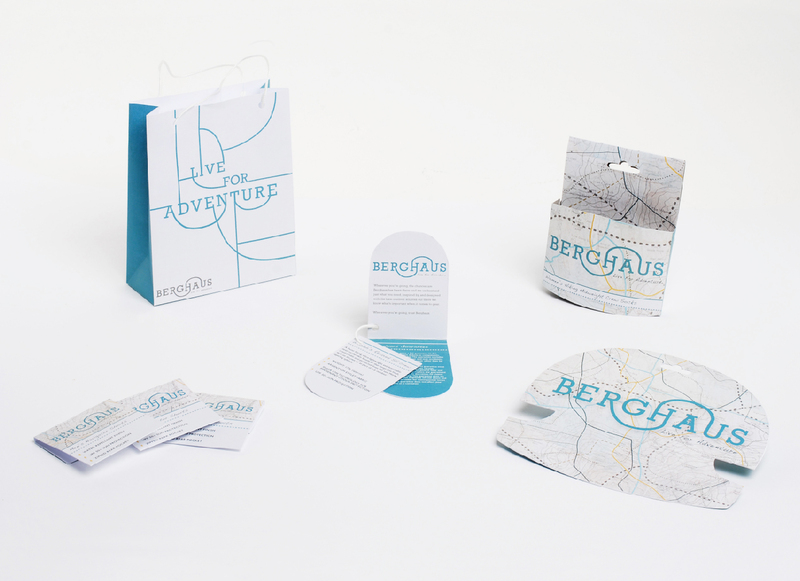 Berghaus supplies clothing and equipment suitable for many outdoors adventures, but an Ordinance Survey map is a common denominator, as it’s an essential piece of kit for all kinds of activities. 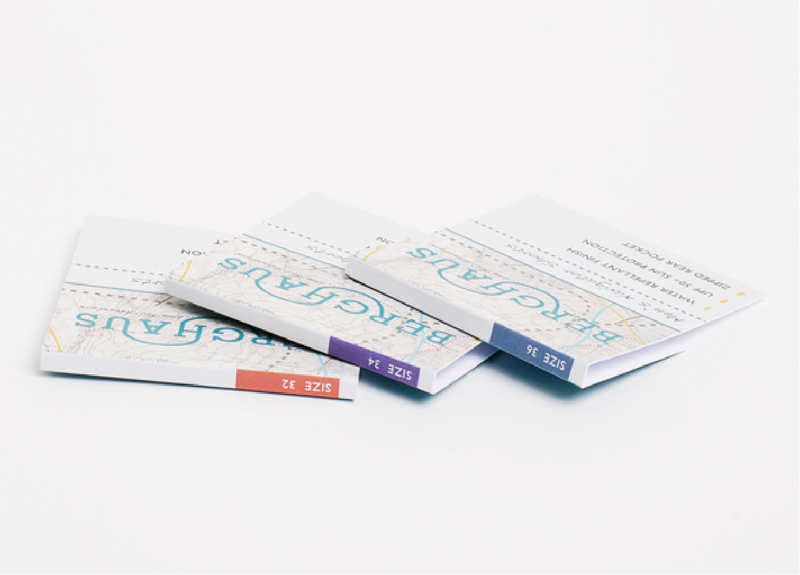 The redesign takes inspiration from maps, and the fact that the fun is frequently in ‘The Journey’. For instance, it’s not the act of being at the top of the mountain, but the climb. The concept of journey is shown in the path that travels through the logo. 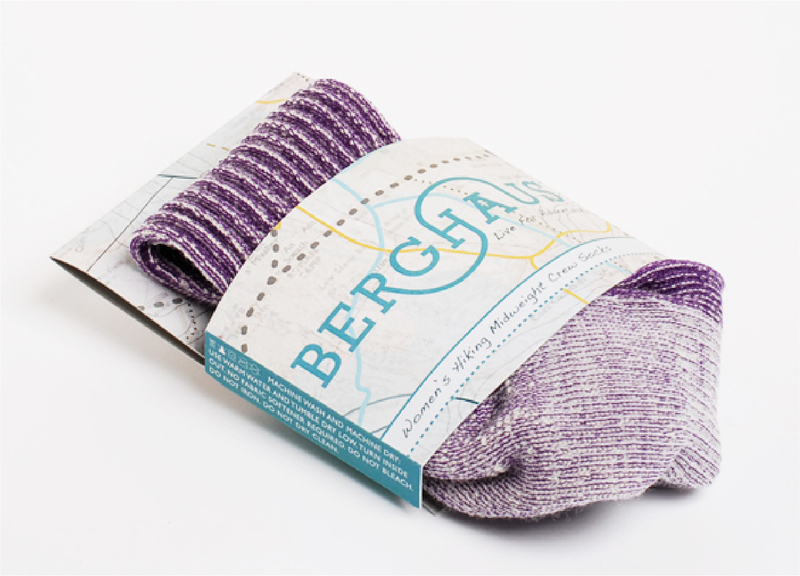 The new packaging range includes gaiter hangers, sock packaging, clothing hang tags, and carrier bags. 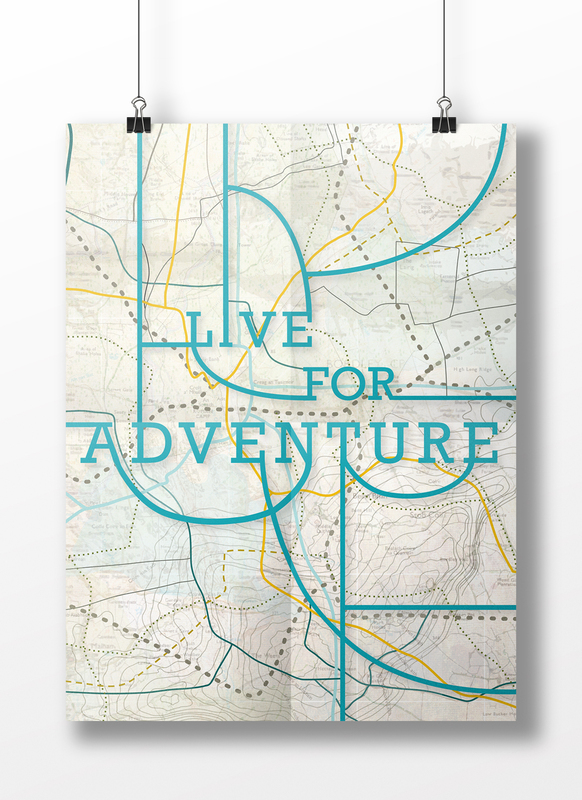 Advertising has been explored with the Your Next Adventure campaign. 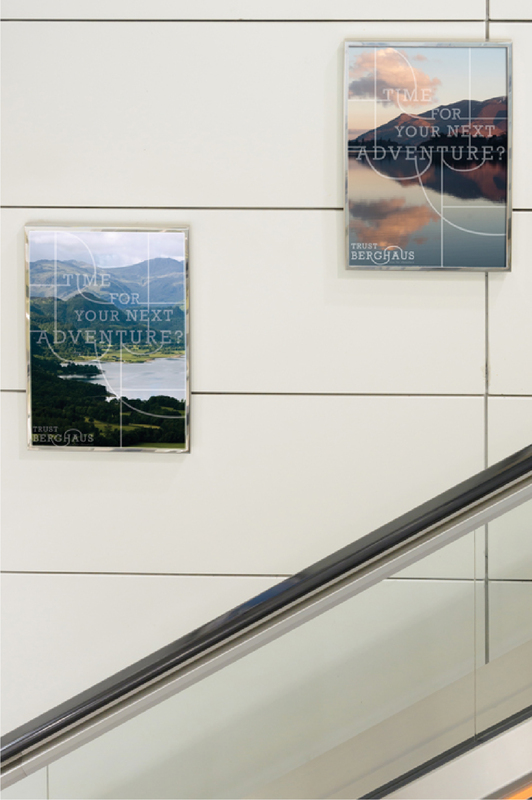 This uses stunning photographs of some of Great Britain’s most beautiful landscapes, with the invitation, ‘Time For Your Next Adventure?’ juxtaposed in front of the photo. 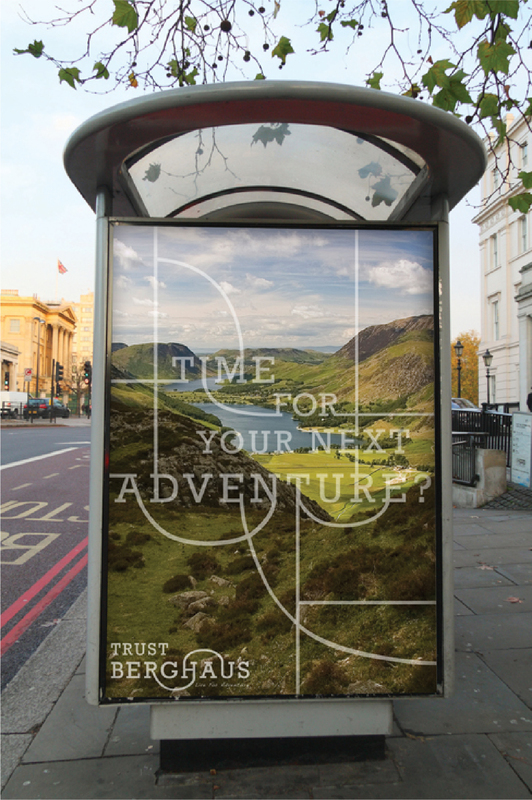 The adverts would be placed in cities at bus stops and underground stations so they can target the commuter who enjoys escaping the city for ‘The Great Outdoors’.